Style: it's less about what you wear, but how you wear it. The same goes for travel—a savvy traveler can transform any destination into a dream vacation with the right attitude (or the right pair of sunglasses). Travel + Leisure editors keep tabs on all the can't-miss fashion and beauty trends, the smartest shopping and packing tips, and the best style advice for home or abroad. 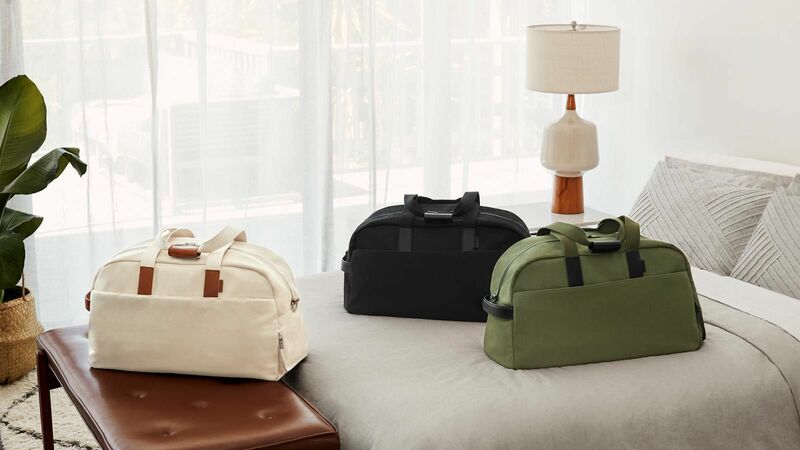 Balance the demands of travel (with its cramped luggage, wrinkle-prone flights, all varieties of weather) and style (blow-dryers hogging precious space, garments that demand ironing, shoes that just can't get dirty) by packing smart layers and choice accessories. With layers—a leather jacket here; a blazer, sleeves rolled up, there—you can pack for far more outfits with much less clothing. Accessories like a colorful silk scarf or a bold hat, statement pieces like a shiny patent leather flat or an oversized coat, can be repurposed again and again. A single well-thought out item can transform an outfit from drab to dramatic. T+L combs the shelves for the smartest (and most stylish) travel clothes, the sturdiest suitcases, the most durable outerwear, the best on-the-go beauty and grooming products. What shoes are easiest to slip off in an airport line? What backpack best protects laptops? What's the smartest outfit for a long train ride? We know not all travel clothes are decided upon before the journey begins—there's also shopping once you arrive. We'll help you find the chic boutiques and hip commercial corridors to reinvent your look—anywhere you go. T+L editors and on-the-ground reporters also keep eyes on what local fashion icons and celebrities wear on the road, from European royals to movie starlets. If you can't join them, you can at least dress like them.